Simplify your IT environment and reduce information silos with OnBase, a single enterprise information platform for managing content, processes and cases. 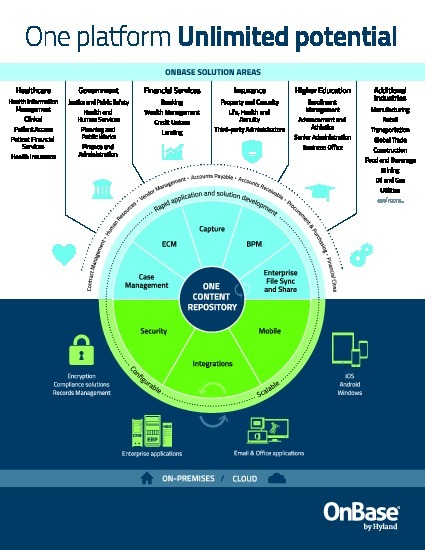 The OnBase platform provides the foundation for solutions across your enterprise. OnBase has transformed thousands of organizations in multiple industries around the world, empowering them to become more agile, efficient and effective. 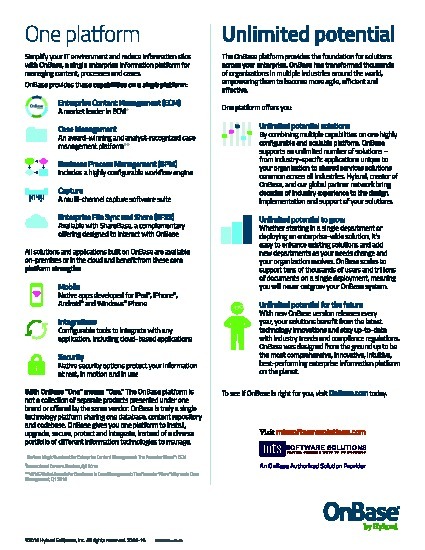 Download the infographic to learn more what solutions and capabilities that OnBase can offer your organization.